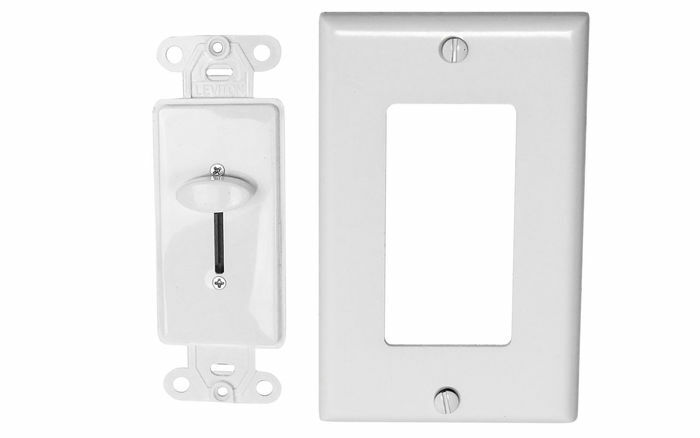 Fits standard light switch gang box. This dimmer is used to control the LED Panels brightness. A switched power supply must be used to turn the panels off and on. One Dimmer unit can dim up to ten LED lights via 10v PMW signal sent to the LED drivers. PMW signal is digital and can be affected by electromagnetic fields and distance. Each installation is different and function in all environments cannot be guaranteed. uDecor guarantees that your LED Dimmer controller will be free from manufacturing defects for a period of three years from the date of purchase and preform as expected during that time. uDecor guarantees that your Drivers/Power Supply will be free from manufacturing defects for a period of three years from the date of purchase and will operate within specifications. This warranty does not cover problems caused by improper installation methods. This warranty does not cover normal wear and tear or damage due to exposure to smoke, fumes, leaks, or abuse. This warranty does not cover labor charges. This warranty applies only to material purchased by you, the owner, in unopened cartons for your own use and not for resale. This warranty is not transferable and applies to the original purchaser only. Ordered these to go with the 2x2 LED Flat Light Panels, and they work great. Love the light panels and how they dim. Instructions should include direction on how to use it in conjunction with an on/off switch.